Chelsea manager Maurizio Sarri told reporters after Chelsea’s 3-1 win against Crystal Palace that he believes is record-equalling start as Chelsea boss is ‘lucky’. For a brief period during the second-half it looked as though Palace would come away from the tie with a point after Andros Townsend scored a spectacular goal. Fortunately Blues superstar Eden Hazard entered the pitch in the 64th minute and made an instant impact for Sarri’s men by assisting Alvaro Morata only 91 seconds after coming on. Spanish attacker Pedro sealed the victory with a tidy finish only five minutes later. The win for the Blues meant that Sarri had extended his unbeaten run in the Premier League to 11 matches which equalled Frank Clark’s record which was set in the 1994/95 season with Nottingham Forest. In continuing the unbeaten run Sarri also has one over former Chelsea boss Jose Mourinho who began his reign as Chelsea manager with an impressive 10-game unbeaten run. Chelsea now sit in second place in the league ahead of Jurgen Klopp’s on goal difference and two points adrift of league leaders Manchester City – who look fired up to defend their Premier League title. 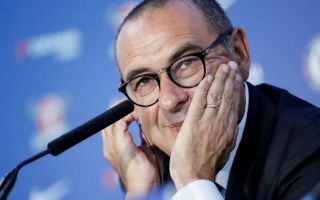 Chelsea fans are now in awe of Sarri and with Sarri-ball now in full swing the Blues could beat Manchester City and Liverpool to lift the Premier League trophy come the end of the season.